It’ll be the most beautiful thing in your house (except for your missus of course). 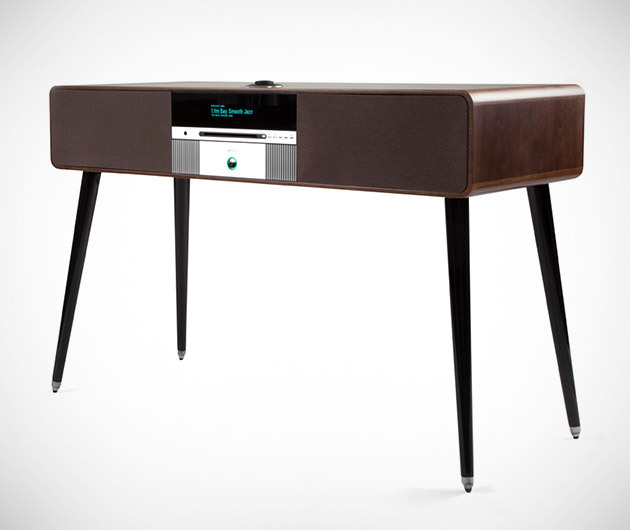 The Ruark Audio R7 sports 60s styling encased within a walnut veneer cabinet and aluminum and glass center all suspended above black lacquered legs. There’s a pair of drivers, DAB+/FM/internet radio, CD/MP3 player, an 8-inch sub and wireless streaming capabilities too.